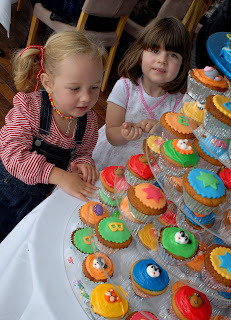 The display with the cupcakes. 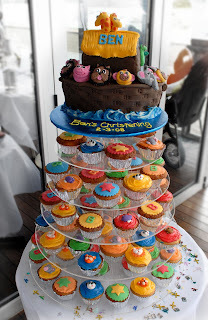 There were 6 different flavours of cupcake and the toppers alternated with animals, stars and B for Ben. The kids loved the display!